Fats and oils are composed of saturated, monounsaturated and polyunsaturated fatty acids which, depending on their origin, in different compositions and ratios. Thus, the polyunsaturated omega-6 fatty acids occur mainly in plants, omega-3 fatty acids almost exclusively in algae, marine plankton, krill and fish. The omega-3 (n3) fatty acids are further subdivided into alpha-linolenic acid, EPA and DHA (eicosapentaenoic and decosahexaenoic acid). The latter two are well-known because of their beneficial effect on cardiovascular health, while alpha-linolenic acid serves as a precursor of DHA and can be converted into it to a certain degree by the human organism. In the body, n3-fatty acids are mainly built into cell membranes, which makes cells more flexible and supple, but also affects their functioning and can provide various health benefits. In the western diet, the polyunsaturated fatty acids are mainly ingested in the form of omega-6 (n6) fatty acids, primarily from vegetables and meat. Over the centuries, switching from a hunter-gatherer life to agriculture has resulted in a health-unfavourable n6:n3 fatty acid ratio, which is associated with adverse health effects on inflammatory factors and cardiovascular health. Conversely, in particular the n3-fatty acid EPA is considered to be beneficial to those health issues, while DHA seems to be more important for healthy brain development and function. In addition to an optimized n6:n3 fatty acid ratio with regard to its general health significance, also the anti-inflammatory effect for recovery promotion is interesting for athletes. 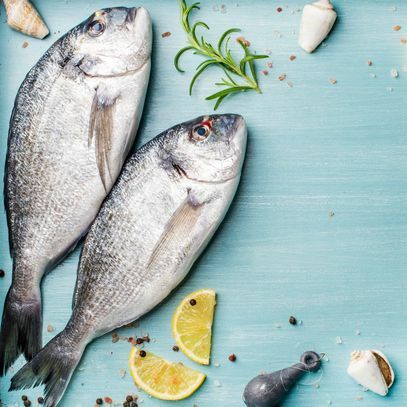 A sufficient intake of the necessary n3-fatty acids can only be achieved by an increased intake of the mentioned marine sources, especially of high-fat cold-water fish, or of dietary supplements with fish or krill oil. A daily intake of 1-2 g of EPA + DHA is recommended, preferably in the ratio 2:1. (Mickleborough 2013, Simopoulos 2007). 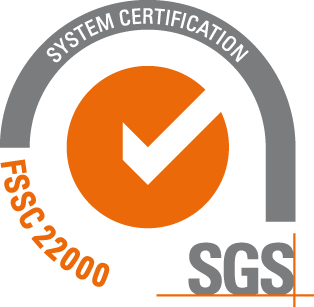 The maximum acceptable daily intake set by the European Food Safety Authority (EFSA) is 5 g EPA + DHA (www.efsa.europa.eu). Human studies have usually been conducted at dosages between 2-5 g daily. Tsuchiya (2016) demonstrated attenuated loss of power and better mobility in response to sore muscles after eccentric loads. Jakeman (2017) demonstrated that an acute dose of a fish oil supplement improves the functional performance of the muscles after eccentric loads. Furthermore, various review articles (Ochi 2018, 2019) discuss the recovery-promoting effects of n3-fatty acids in terms of muscle function and reduced muscle damage due to physical exertion (e.g reduced soreness). Anti-inflammatory effects of n3-fatty acids also play a role here. Endurance athletes benefit from an omega-3 supplementation by an economization of oxygen consumption and thus longer anaerobic stamina (Zebrowska 2015, Mickleborough 2013, Da Boit 2017). A multifactorial effect is presumed, which ultimately leads to an increased stroke volume and a reduced heart rate (Philpott 2018). Infections of the upper respiratory tract are a common problem in endurance athletes. In a study with 1.1 g n3 fatty acids, 10 μg vitamin D and 8 g whey protein daily, reduced frequency and duration of infection were found in young athletes (Philpott 2018). Since vitamin D is central to a healthy immune system, its combination with n3-fatty acids seems advisable. DHA is an important component of brain neurons. Since physical training also brings about neuromuscular adapations, increased DHA availability can additionally support these adjustments. This seems especially meaningful with ageing with regards to a muscle-preserving effect (Philpott 2018), when the body's neuromuscular functions diminish. More recently, studies have also found an anabolic effect of n3 fatty acids on muscle protein synthesis. Specifically, EPA was recognized as the anabolic and anti-catabolic component (Kamolrat 2013, see graph). However, this applies primarily in the case of insufficient protein intake (McGlory 2016), and thus especially for seniors, where also an age-related "anabolic resistance" comes on top. For this population the muscle protecting/preserving effect is therefore of particular importance. Also, in clinical situations such as In cancer patients, the intake of n3-fatty acids could reduce muscle mass loss (tumor cachexia) (Murphy 2011). Also in the context of muscle build-up, vitamin D is an important additional micronutrient as it plays a role in cell division and can increase muscle protein synthesis in response to an anabolic stimulus (Salles 2013). In addition to the well-known fish oil capsules, supplements based on krill oil have been available for several years. Krill are small crustaceans that feed many fish and are also the source of their n3-fatty acid content. In krill, however, the n3 fatty acids are to a large extent bound as phospholipids, whereas in fish these occur in the form of triglycerides. While some studies have indicated improved bioavailability of phospholipidically bound n3-fatty acids, the opposite has been noted in other studies. One study showed better bioavailability of EPA + DHA from a fish oil concentrate (triglycerides) compared to krill oil (phospholipids), and also to salmon oil with a reverse EPA:DHA ratio (Laidlaw 2014). In particular, an increased EPA concentration by factor 4 (!) was found in the subjects with fish oil concentrate compared to krill and salmon oil. 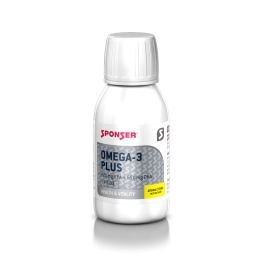 SPONSER® offers its own omega-3 supplement coming in a liquid form. OMEGA-3 PLUS is a mixture of cod liver, sardine and anchovy oil with a uniquely high EPA content and concomitant high ratio of EPA to DHA. The fish oil used is obtained from controlled, certified sustainable wild fish. The lack of the typical fishy taste, flavoured with a mild citrus flavour, is evidence of the maximum freshness of the fish oil raw materials. One daily ration is 1-2 teaspoons (5 or 10 ml) and delivers 1.5 g, or 3.0 g n3-fatty acids, respectively, of which 820 mg (1640 mg) EPA and 650 mg (1300 mg) DHA. Since n3-fatty acids must be incorporated into the body cells, a multi-week intake is needed until they can develop their effect. It is recommended to take omega-3 supplementation in the evening (detached from physical exercise) and not immediately before exercise. Like this the oxidation of fatty acids for energy use can be reduced and the incorporation into the cell walls can be facilitated.